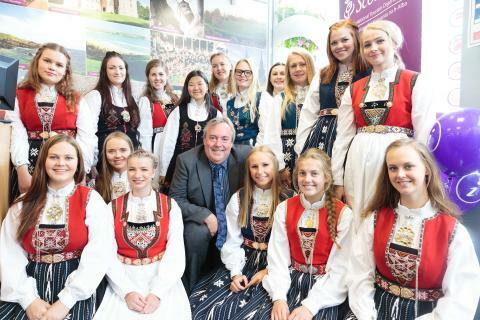 Aberdeen’s newly-refurbished VisitScotland Information Centre (VIC) officially opened its doors today, with help from a visiting Norwegian choir. The Stord UngdomskorChoir sang the praises of the new-look Union Street Centre, which had been closed whilst work went on to modernise the centre, both inside and out. It now offers visitors a more fully-accessible, customer-friendly service, access to digital information and more internal space to browse and sit whilst making bookings. 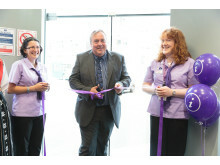 Today, members of the choir, who are taking part in Aberdeen’s annual International Youth Festival, helped VisitScotland Chief Executive Malcolm Roughead officially open the Centre. The Information Centre team vacated the building in February and, with assistance from Aberdeen City Council, moved into a temporary location within Marischal College. Now the keys have been handed back to the team to showcase the revamped Information Centre, which boasts better lighting and an improved internal design, giving visitors increased space to move around and more reason to spend time in the Centre. The refurbished Centre will help promote Aberdeen City & Shire to visitors, highlighting its delicious natural larder, world-class golf courses, castle and coastal trails and enthralling events programme, including regional Highland games, the inaugural Etape Royale, Dolphinwatch 2015 and Aberdeen Summer Festival. As well as perusing brochures, purchasing souvenirs and being inspired by local experts, visitors will also be able to use a state-of-the-art interactive screen, allowing them to navigate a map of Aberdeen City and Shire and discover more about what the region has to offer. There are also two tablets for use by visitors within the Information Centre. The VisitScotland Information Centre, which offers free Wi-Fi, will also sell tickets to local attractions and day tours, including those run by Historic Scotland, the National Trust for Scotland and Calmac. “The Information Centre refurbishment has exceeded expectations and looks really amazing - I’d like to thank everyone involved for all their hard work. “The improvements that have been made have made it bigger and better than before. 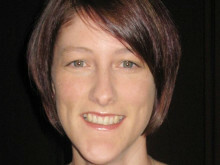 Rapid developments in technology mean visitors are now using a range of channels to access information about Aberdeen and Scotland. In line with this trend, VisitScotland has refurbished and upgraded the facilities within the Information Centre in Union Street. 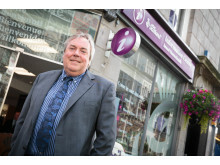 “We are so pleased to be part of the VisitScotland Information Centre opening and hope more Norwegians will come to visit, as the people of Aberdeen are so accommodating and we always feel very welcomed. As well as opening the Information Centre, Mr Roughead was in the city to talk to businesses as part of his ‘tea and tourism’ tour. This is the third in a series of Chief Executive Listening Tour meetings, giving tourism organisations across the country access to, and opportunities to speak directly with, the VisitScotland Chief Executive. This morning, Mr Roughead attended a meeting and lunch at Aberdeen’s Atholl Hotel, in Kings Gate, with industry representatives and local council officials, to discuss local priorities and VisitScotland’s ongoing working relationship with them.